When something is on CBS, I expect it to be somewhere on a range from bad to mediocre. Is that harsh and unfair? Well, yes; I should come into every show fresh, and I do my absolute best to evaluate every show fairly and put aside my preconceived notions, though, as I said, I consciously attempt to put them aside, rather than pretend they don’t exist. CBS’s wheelhouse exists mostly on a spectrum from what I think are largely terrible comedies to bad-side-of-mediocre to good-side-of-mediocre police procedurals. My initial thought was to say this is most of CBS, but not all, but looking at the fall schedule, it covers everything but The Good Wife, which is a slightly serialized law procedural, despite what others may try to tell you (unless it’s changed very drastically in the last couple of seasons, which is possible though unlikely – from the commercials you’d have no idea it was a procedural at all). It’s then unfair for me to expect a groundbreaking serial drama from CBS, but maybe what I can reasonably expect is for them to do what they do well. The brand of comedies they make are very, very difficult to make actually good (I have a complicated relationship with How I Met Your Mother, but let’s save that for another day). However, procedurals, while not generally my cup of tea (my strange near-obsession with the original Law & Order aside), are not inherently bad. And if there was to be a particularly good one, then why not, as my friend pointed out, an adaptation of the original procedural, Sherlock Holmes, for which each original story was a short few pages about him taking on one mystery. Here’s a preconception I’ve had about this show since the day it was announced. There’s already a Sherlock on BBC, it’s great, and thus, any version on CBS will jwithust be hopelessly inferior. After all the saber rattling between Sherlock creator Steven Moffat and CBS over who might or might not be ripping off who, I immediately sided with Moffat and basically figured the new version would just be a watered down, worse cast Sherlock. After all that exposition, you may not be surprised to read that CBS’s Elementary was actually pretty good. Yeah, I still think it’s not as good as the BBC’s version, but it’s still far better than I anticipated it to be after reading it was getting made. Johnny Lee Miller, who has fiddled around with TV before, as the villain in the fifth season of Dexter, and the eponymous Eli Stone, does a solid job of evoking the classic Holmes characteristics – sharp, astute, biting, and unable to precisely fit in with the emotional demands of ordinary humans, while occasionally making a very small effort. The police captain who gives Holmes access to the scenes largely stays out of things (and is played by Aidan Quinn), making the show about Holmes, and secondarily about Watson, who seems to be more an easily irritated but also fascinated sidekick/babysitter compared to Watson in Sherlock, who is more of a friend and a bit closer to a partner, though perhaps the relationship changes over time. 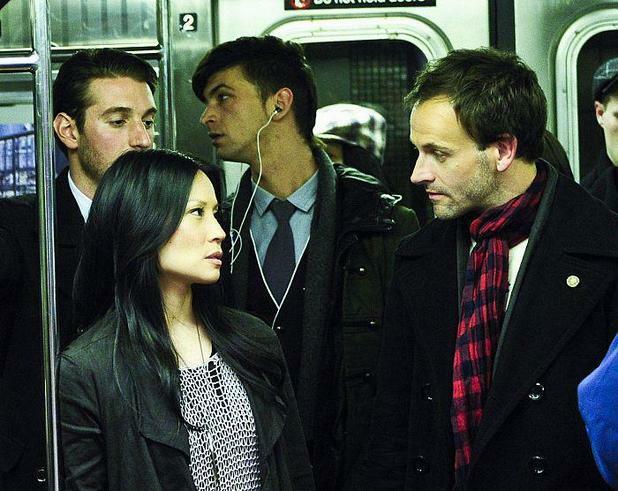 Also, Watson is a woman, played by Queens native Lucy Liu, so take that, tradition. Otherwise, you probably know how a Holmes mystery is supposed to work; Holmes constantly detects little observational clues at the crime scene which others miss and slowly point him to the killer, and eventually enable to him to prove his theories. He’s the original Psych or The Mentalist. The case in the pilot was well-crafted and featured Holmes both figuring out a lot of information towards finding the killer, and then knowing who he was and figuring out more information to prove it, with a key assist from Watson, and her ability to actually interact with people thrown in. It’s a well crafted procedural, and credit to Miller for making it go. Note: Okay, I’ve given a largely positive review and this is a relatively silly point that isn’t important at all. However, in the last scene of the pilot, Watson and Holmes are watching the Met game, and Holmes says the game is very scientific and predicts exactly what the next three batters would do. Sure, there are probabilities, but that’s pretty much what baseball is – I’d have to run some math above my level, but I’m fairly sure the likelihood of him predicting the outcomes of the next three hitters in a row (it’s center field fly out, though if I recall correctly, and I’m not willing to watch again for this, he says pop out, and it’s hardly a pop out, intentional walk – and of the three this is clearly the most predictable, and then grounded into double play) is pretty unlikely. Second note: This is just a pointless thought; but this is the place for it. So, in a world like this, or the BBC’s Sherlock, the Sherlock Holmes stories have to never have been written. Otherwise, they current day Holmes would think it was just too bizarre a coincidence, and every person who met them would say, “you’re just like Sherlock Holmes from those stories”. So the world they live in is nearly identical to ours, except that Sherlock Holmes stories never existed. Did Arthur Conan Doyle exist, but never write those stories, or is he gone too? Will I watch it again? Again, it’s a procedural, so probably not. At this point, I just don’t value hour long shows without major serial components very highly – those I do watch I either primarily watch with others, or are British shows, meaning there are so few episodes, that it’s more inconvenient not to watch. If this had only six episodes in a season, I would probably bang them out.